"The Multiplication table was his creed,"
"His paternoster, and his decalogue. " "From back and belly too their proper cheer." In the life-time of his father and brother, the three, who seem to have been imbued with an entirely kindred disposition, kept house together, and performed for themselves all the duties of cook, scullion, chambermaid, never putting themselves to the charge of satisfying the clamorous appetite of a servant, With regard to their own board and maintenance, each kept a separate cupboard, and some ludicrous disputes are said to have occurred between them when suspicion arose that either had been furtively making free with a slice from the other's loaf. Their meat was mainly supplied in 'rumps and burs' from the skins in their own yard; the luxury of the butcher's stall being scarcely, if ever, resorted to; though latterly the subject of these remarks extended his indulgence to himself so much, that on Saturday nights he purchased for his week's supply, two pounds of mutton, always stipulating that the quantity should not be exceeded, and that it should he cut from the fat part of the fattest sheep in the shop. He was always an early riser, and on Saturdays, on which days he walked to Gloucester to transact business in the market there, he would be in his tan-yard from three or four o'clock in the morning till nine, when, having done what might be called a good day's work, he returned into the house, ate his breakfast, consisting of a lump of bread and a farthing's worth of milk, and then started on his journey. His penurious habits accompanied him in his business transactions at Gloucester. Having purchased his stock of skins, he never thought of paying a sixpence to a porter to convey them to the quay, but threw them into a wheelbarrow which he kept for the purpose, and wheeled them himself to the water's side, having sometimes, according to the extent of his purchases, to perform several journeys through the streets with his loaded barrow. Upon one occasion, some years ago, he had walked to Gloucester, having previously worked hard in his tan-yard, - had employed himself in the purchase of his skins, and wheeling them to the quay, and had then walked back home to Tewkesbury, without tasting bit or drop! the consequence was that he fell down on the kitchen floor, to all appearances dead, the effect of bodily exhaustion and long fasting. His last visit to Gloucester was on Saturday, Sept. 30, eight days before his death, and it is supposed that the exertion was too much for his years and strength, and hastened his decease. Having, some years ago, seen in the Gloucester Journal, that a ship had arrived in Ireland - we believe at Cork - with a cargo of hides from South America, he, with a quick eye to the main chance, determined to proceed there to see if he could make a profitable purchase, Do our readers imagine that he immediately took coach for Bristol, and embarked there in a packet, as most other persons on a similar errand would have done? Certainly not. He took his stick in his hand, and walked to Milford Haven, a distance of some 130 or 140 miles, worked his passage over from thence to Cork, bought a large quantity of hides, got them shipped, after driving a bargain that he should lump himself in as part of the freight, and returned home to Tewkesbury, the whole expenses of his journey only amounting to between six and seven shillings! In this way he amassed together immense wealth. His landed property is estimated at and his personal property at upwards of £100,000 - altogether it is supposed his wealth cannot be less than £140,000 from to £150,000. His father died, we believe, about twenty years since, and his brother has been dead about nine years; since which time till the period of his death he lived entirely alone, wallowing in riches, but voluntarily undergoing all the practical destitution of the most abject poverty, A servant, a charwoman, or a washerwoman was unknown in his house; and the state of dirt in which everything about him was allowed to remain is almost inconceivable, and to conceive it, would only be to fill the mind with disgust. "Who would not wish to be from wealth exempt,"
'The above particulars of the habits and peculiarities of the deceased have been derived from respectable sources in Tewkesbury; but it is fair to add, that we have been informed that some of the local anecdotes in reference to him are a little over—coloured; — that he did not deny himself necessaries, though he was abstemious in the use of them — that he kept beer in the house, and frequently offered a jug of it to those who visited him as friends or upon business — that he even had wine in his cupboard, which he sometimes offered to his more favoured visitors — that though a 'hard' man, he was strictly honest in all his dealings — and that though his residence was in all its arrangements of the humblest kind, yet its cleanliness received the occasional overlooking of some of his relatives, and the dirt was not by any means so great and offensive as has been described. It is admitted, nevertheless, that his whole household expenses were under rather than over £30 a year. 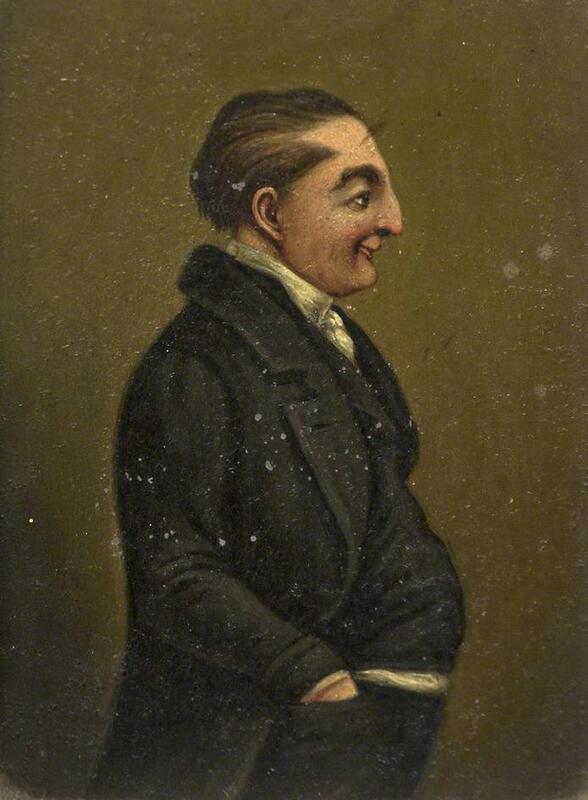 The predominant feature in Mr. Rudge's character was certainly an eager desire to accumulate wealth, but he never sought to enrich himself by dishonourable conduct, nor was he by any means void of fraternal and friendly feelings. On one occasion, many years since, having established a near relation in business, who afterwards, through inattention, got into pecuniary difficulties, he acted with much generosity towards the creditors, and voluntarily relinquished the whole of his own claim upon the estate. This was by no means a solitary instance of his caring for the wants of others, "especially for those of his own house," either in the early or later stages of his life. For a considerable period, he seems to have contemplated founding and endowing almshouses, for the benefit of the poor of Tewkesbury, though he never took any decided steps towards carrying the design into effect. Latterly, he evinced a disposition to confine his intended munificence within narrower limits, holding out expectations, if not giving direct promises, of bequeathing a considerable sum to the Baptist Society. Subsequently, however, yielding to the urgent solicitations of the parties interested, he (instead of dooming them to wait an indefinite period in anticipation of a larger sum) consented to give, in his lifetime, a benefaction of 2001. and directed the interest thereof to be appropriated to the use of the poor of the Baptist Church in Tewkesbury for ever. Mr. Rudge was possessed of a strong as well as an active mind, a most retentive memory, and a vigorous constitution; and although his education had been much neglected, and he never mixed in society, he would converse with extraordinary shrewdness, and without the least embarrassment, on mercantile, political and religious subjects. He did not disrelish general reading, so that it did not interfere with his worldly pursuits, and next to the Bible, perhaps he prized Burder's "Village Sermons" higher than any other book. He had ever shewn a partiality for hearing popular dissenting preachers, and would sometimes relate, with much spirit, many of the homely phrases and quaint sayings which the Rev. Rowland Hill was in the habit of introducing into his sermons. For a considerable period before his death, he had been a tolerably constant attendant at the Baptist Chapel, and might occasionally be seen at the Thursday evening lecture at Trinity Church. Edmund Rudge was buried in the Abbey Church Yard, near the grave of his father and mother, Thomas and Susannah Rudge. who had died in 1816 and 1802 respectively. They had three sons; Thomas died a bachelor in 1835 and was buried nearby; Michael was buried at Fretherne. A raised tomb was subsequently erected to commemorate the deaths of all the family. Whether Edmund Rudge was truly a miser it is hard to say. Perhaps he was rather a Stakhanovite, endowed with abundant energy and a robust physique, who excited the envy of others by his preference for his own company. We shall never know, but a true miser would not have performed the works of charity with which Edmund is credited, and he remains an interesting, if eccentric, character.